Come through and laugh with me and 15 other actors as we put up 8 new plays based on a badass playlist without ever having met each other! The Pit Underground in collaboration with Hot Metal Arts Collective! Get your tickets here! For more info check out the Hot Metal Arts Collective website! I’ve been having a blast filming End of Day, a mockumentary webseries following the cast and crew on the journey of putting up the first ever production of Hamilton: The Play! I’m so excited to be back at UCB in Improv 201 with Caroline Martin! If you want to check out what I’ve been working on, come to UCB Hell’s Kitchen on January 27th @ 12pm and watch my classmates and I clown around in our show! 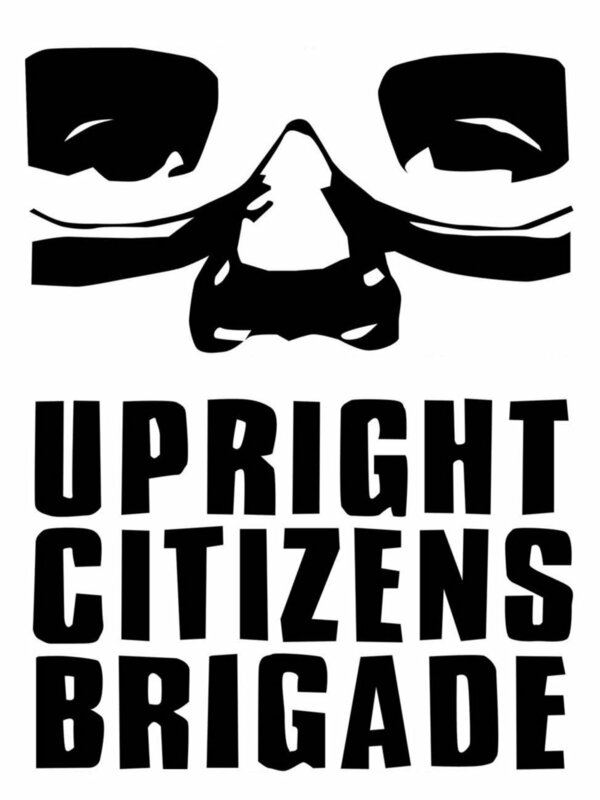 I'm super excited to announce that I've begun my training with the Upright Citizens Brigade Theatre in Improv 101 with Johnna Scrabis! Come on by to my class' performance on Saturday, September 29th, 2018 @ 4 PM! Details to come! Cookbooks & Coitus @ Manhattan Rep Theatre - August 24th - 25th! Come see me at Manhattan Repertory Theatre on August 24th and 25th as we revive Cookbooks & Coitus, a fun little one act about Cookbooks, Chrissy Teigen, and, you guessed it, Coitus! Tickets are available for series F at www.manhattanrep.com - See you there! 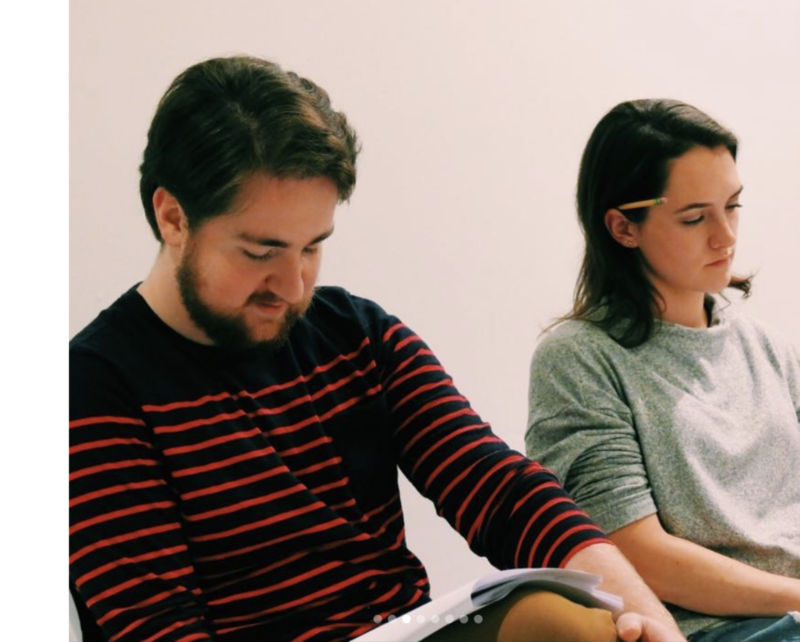 Cookbooks and Coitus a new play at Sugartown Shorts : a short play festival through The Theatre Collective - June 28th! Come see me in this new play by the two and only Matthew Zimmerman and Jordyn Boscia at Spoonbill & Sugartown Booksellers in Brooklyn! Season 2 of HBO's The Deuce! Earlier this June I filmed in a SAG Extra Spot for HBO's The Deuce! Watch out for the back of my head while James Franco and Maggie Gyllenhaal talk through a fence! Astronaut (or Frantic Action) @ Undiscovered Countries - The Infinite Festival - May 29th! On Tuesday, May 29th, 2018 I will be performing in Shelby Solla's new play, Astronaut (or Frantic Action), at Bizarre Bushwick as a part of Undiscovered Countries' The Infinite Festival! Graduating from Marymount Manhattan College! - May 18th! On May 18th, 2018 I will be graduating from the Marymount Manhattan College BFA Acting Program in Lincoln Center at David Geffen Hall! The Hysteria Plays @ Dixon Place - February 2nd! On February 2nd, 2018 I'll be performing in Shelby Solla's Astronaut (or Frantic Action) and Zoe Kamil's Deliverance as Bill/Joshua. Both plays surround two women viewed as “crazy” share emotional experiences that transcend time and place.